Everyone remembers what happened on April 9, 2017. Ok, you might not recall the exact date, but that was the day that the Chicago airport police forcibly dragged Dr. Dao off a United Express flight, leaving him bloodied. The flight wasn’t oversold, but the regional airline that operated the flight had to get some crewmembers on board at the last minute. That meant it had to deny boarding to some passengers who had already boarded the full flight. The resulting uproar forced many airlines to broadly address the issue of denied boardings during the second quarter of last year. But have things changed? They sure have, and we now have the numbers we need to do a year-over-year comparison. I’m going to get into the weeds in this two-part post. Today we’ll look at United, Delta, American, and Alaska. Tomorrow, get ready for Southwest, JetBlue, Frontier, Spirit, and Hawaiian. The Department of Transportation (DOT) releases quarterly denied boarding numbers. Since the Dr. Dao incident happened in the second quarter of last year, the ideal before/after comparison is between the first quarter of this year and the first quarter of 2017. The most recent report gives us what we need. What’s the headline? Well, involuntary denied boardings (where the airline denies boarding even though the traveler doesn’t want to cooperate) dropped from 9,566 in the first quarter last year to 2,254 this year. The rate per 10,000 passengers flown plunged from 0.62 to merely 0.12. Voluntary denied boardings (where people volunteer to give up a seat when the airline asks for help) also went down from 102,285 for the first quarter of 2017 to 85,607 in the first quarter of this year. So, overall, the airlines did what they said, but let’s look deeper because there are different stories to be told at each airline. One note before we get into the details here. When I show data for an airline, I’m showing only the mainline operation. Regional airlines still report on their own, and it’s not possible to determine if a passenger was on, for example, a SkyWest flight operated for Alaska, American Eagle, Delta Connection, or United Express. That’s not to say there hasn’t been an impact on them, but it’s easier to just leave them out to see a clearer picture. Let’s start with United since that was the airline that started this mess in the first place. After the Dr. Dao incident, United put out an action plan saying it would reduce overbooking, offer higher compensation to get more volunteers, and do a better job of proactively soliciting people to give up their seats in advance. This seemed like overkill, and it should have made the numbers go way down. To nobody’s surprise, that’s exactly what happened. As you can see, involuntary denied boardings almost went to zero. There were actually a total of 27 for the entire quarter, down from 900 the year before. There will always be a couple denied boardings thanks to a last minute aircraft swap or some similar issue, but United promised to get aggressive in combating the issue. It did. On the voluntary side, things declined as well. Presumably this is because of the decision to reduce overbooking. Naturally you would need fewer volunteers if you did that. Now let’s look at Delta, an airline that long ago figured out how to handle oversold flights. Delta reduced its involuntary denied boardings from almost nothing to even closer to nothing. It technically had a rate of 0.004 since the airline did involuntarily bump 13 passengers, but that is insignificant (unless you’re one of those 13, I suppose). On the voluntary side, you’ll see Delta had a much higher rate than United, but it still managed to reduce it significantly. Why is it higher? Because Delta was smart, and the airline aggressively sought out volunteers. Delta has long had a high number of voluntary denied boardings, but a customer that volunteers is a happy customer. Delta made the decision that overbooking was worth more to the airline than the cost of paying out in vouchers to volunteers. That’s what United should have done. But we still see a big decline this year in volunteers on Delta. That could be due to a shift in revenue management or it could just be luck of the draw. Either way, those numbers are only concerning in that for travelers, it means there are now fewer options to get paid. Moving on to American, we see an airline where the number of voluntary denied boardings has actually gone up. That may be a surprise, but it shouldn’t be. After all, American said in the wake of the Dr. Dao incident that it would start raising the cap on what it offered to recruit volunteers. The end result is that the number of involuntary denied boardings has dropped a lot, though it’s still higher than the other big guys with 483 total. (That is small enough, however, that a handful of poorly-handled winter weather events could have accounted for a lot of that.) Interestingly, voluntary denied boardings have gone in the other direction. At American, we strive to provide the best customer experience and that means having seats for every passenger, every time. While the chances of being denied boarding on a flight remain extremely rare, unplanned events such as weather or mechanical needs do occasionally impact our flights, and any time there are more passengers than seats on the airplane, our team members aim to resolve the situation by asking for volunteers. Our involuntary denied boardings are at the lowest point in American’s history. That doesn’t say a ton, but it does sound like an airline that’s not looking to make any changes to its current plan. It should be noted that American’s volunteer rate is still well below Delta’s, so this is probably by design. Remember, a volunteer is generally a happy customer, so it’s just up to American to decide if the extra revenue benefit is worth more than the costs involved. It sounds like American believes that to be the case. To look at Alaska, I added together both Alaska and Virgin America together. Virgin America actually performed better than Alaska, but it was the same airline managing both sides of the operation, so it’s worth counting as one. Here’s what happened. Considering that Alaska is in the throes of a merger here, you’d think it would have suffered more than it did. But Alaska made real strides on reducing its bumping numbers even though on the involuntary side, it’s still one of the worst. Then again, it does overbook and it saw the same result as Southwest, which doesn’t, so that says something. Come back tomorrow and we’ll talk more about Southwest’s surprising results along with the rest of the airlines that report, including the worst offenders. Wait a minute. “One note before we get into the details here. When I show data for an airline, I’m showing only the mainline operation. Regional airlines still report on their own, and it’s not possible to determine if a passenger was on, for example, a SkyWest flight operated for Alaska, American Eagle, Delta Connection, or United Express. ” Dr. Dao was on United Express but you leave them out of the analysis. Nothing to see here, just keep moving…..
Did you even read what you quoted? It would be impossible to include United Express in a meaningful, accurate analysis here. Besides, it is the mainline carrier, not the regional carrier, that determines the number of tickets sold and the policies for overselling (or not overselling) flights, VDB compensation, and therefore IDB numbers. It would be helpful to present the data exactly as the DOT presents it, including with a screenshot of the relevant page from the DOT report or at least the ranking the DOT provides. Surprisingly, many people who talk about airline consumer issues don’t read the DOT’s monthly report but it does include the quantitative metrics and data that the DOT reports (from the airlines themselves) and which is incorporated into nearly all quantitative airline consumer rankings. The DOT ranks the report by involuntary denied boardings. The overbooking table is on page 34 of the report you linked. The report for July 2018 covers the months of Jan-Mar 2018. In the DOT’s presentation, DL is first place among 18 US carriers with a 0.00 involuntary DB rank while UA is in 5th place at 0.01, AA is at 11th place at 0.15. Virgin America was at 9th place with 0.11 and AS was at 16th place at 0.21. Since industry average was 0.12 involuntary denied boardings per 10,000 boarded passengers, DL, UA and VX were better than average while AA and AS (of the carriers you discussed here) were worse than average. Given that AS was at 16th place and they are revenue managing the combined AS-VX network on AS’ revenue management systems, the AS’ results are meaningful as a reflection of AS’ business practices and not the merger. Just as AS combined post-merger on-time percentage went down when combined with VX’ network, AS’ combined denied boarding performance improved when combined with VX. Also, it is true that carriers such as Republic and SkyWest fly for multiple US airlines and thus it is impossible to know which statistics apply to which carrier, However, AA and DL each have wholly owned regional carriers which report and which also fly only for their parent airline. Endeavor ranked 6th while Envoy ranked 15th, both slightly worse than their parent carriers, DL and AA. ExpressJet flies for several airlines but is in 4th place with a rate the same as UA while Skywest and Republic are better than average which says that the chances of an involuntary denied boarding even on the largest regional carriers is better than average for the industry and better than AA. I am sure your subsequent article will show it but the most glaring finding in the DOT’s on-time report is that the ultra low cost carrier segment performs very poorly while WN brings down the average for low cost carriers, most of which score well (although technically AS and HA are legacy carriers with the former scoring below average and the latter well above average). The chances of being involuntarily denied boarding on the 3 US global carriers is very low with the real risk coming from AA. Involuntary denied boardings on regional carriers operating for DL and UA are lower than industry average while it is above average for AA and its wholly owned regional carrier. Tim – I linked to the DOT report specifically because I didn’t want to recreate data that’s already totally available. People can always click there if they want to see it. Maybe I’m dreaming, but it would be great for all of us if this incident started to provide commercial pressure for airlines to bring regional flights under the mainline brand. United, not SkyWest (was it even SkyWest?) took the PR hit for the Dr. DRAO incident, as they should have: it’s United who sold the ticket and United’s brand everywhere on the airplane. United should be the one taking responsibility. Alex – That is actually happening. I don’t remember the date, but it is planned to make airlines finally report under the brand they operate This will make the operational data much better. Could you put all of the airlines on one plot in tomorrow’s post (if you weren’t already planning to)? These relative plots showing the change are useful but make comparing airlines difficult, as you allude to in the text. Alex – Not planning on comparing airlines since if you click the link to the DOT report you can see it compared right there. I wonder if Delta’s decline in voluntary denied boardings was positively impacted by Delta’s upguaging strategy – and whether Delta’s flights are slightly less oversold as a result? Please reverse the plots for each category. 1Q2017 should be to the left of 1Q2018. The mainline vs. regional issues make so many of these types of stats meaningless. On average, UA, for example, does not exist, since most of its flights are flown by someone else. I’m always struck by the UAL Master Executive Council April 13, 2017 statement regarding United Express Flight 3411. To me, the Council did all it could to ensure that air travelers knew that this was a Republic-operated flight, not a United flight. All of these stats need to reflect, clearly and completely, they cover ALL flights operated by and for United. Otherwise, they mean nothing. jaybru – I couldn’t disagree more. These stats are quite meaningful and absolutely show a major decrease. If you look at regionals, you see a major decrease there as well, but you just can’t know how to divide that by brand. While it would be more helpful to see total by brand, this information is far from meaningless as presented. It gives great insight into what’s happening. United mainline certainly exists. It makes up 46% of United’s departures, but over 70% of seats and close to 75% of enplaned passengers (Source: T100 and OAG). 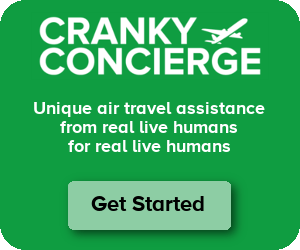 Does anyone track denied boarding or cancellation when the airline simply decides that there are not enough seats sold? This is a special kind of inconvenience. klouche – You mean if a flight is canceled because it’s not full? That is almost entirely an urban myth and does not happen.